Pediatric dentists are the pediatricians of dentistry. We are specially trained to provide primary and specialty oral care for the unique dental health needs of infants and children through adolescence, including those with special health needs. Following dental school, our professional education includes completing a two-year residency program at a children’s hospital. That advanced specialization includes training in growth and development, child psychology, oral-facial trauma management, treatment of patients with special needs and medically compromising conditions, and treatment utilizing conscious sedation and general anesthesia procedure. An integral part of our education is concerned with the medical and dental health of special needs patients. People with significant medical, physical, or mental disabilities often present unique challenges to dentists. Our training allows us to address their special needs and provide the best care possible. We are able to provide routine dental care in our office for most patients with special needs. If necessary, we perform treatment in the operating room under general anesthesia under the care of an anesthesiologist. To learn more about Adams & Seaton Pediatric Dentistry or to schedule an appointment please contact us. 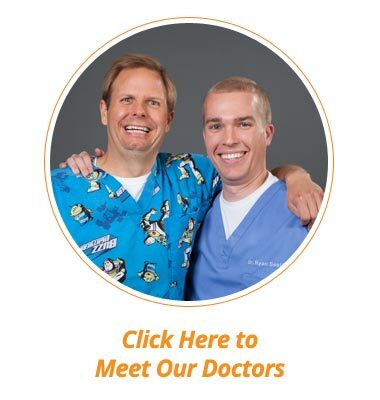 You can also learn more about our pediatric dentists on our team page.